From different companions and friends of Rodrigo Lanza. 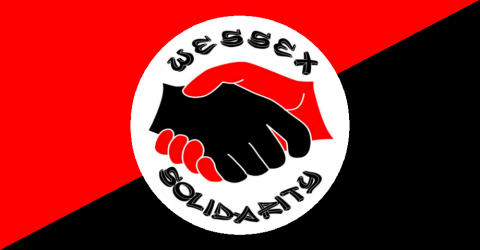 United by anti-fascist ideas, we want to make a public statement about the recent events that have led our colleague to enter prison. After days of media bombardment with false and unsubstantiated information, with the intention of obtaining a public verdict prior to the declaration of the parties, today we finally have the version of Rodrigo and other witnesses. The first “official truth” has built a version that little fits the events that took place on Thursday night, presenting Victor Laínez as a passive victim of hatred of the Spanish flag, and Rodrigo Lanza as an armed aggressor, acting with premeditation, from behind and in a gang. That night our comrade defended his life against a fascist aggressor with a knife, he defended himself with his body, unarmed. Let us remember that Joshua Estébanez de la Hija is a neo-Nazi paramilitary who ten years ago killed the 16-year-old antifascist Carlos Palomino, stabbing him in the chest. Victor Laínez was not a “good-natured patriot,” an ordinary citizen who loved his country. He was a fascist with an active and openly racist attitude. We have evidence of his earlier participation in violent events, (as in the attack carried out together with neo-Nazis in the “Barrio Latino” bar more than 20 years ago) and of an entire career in the Falange movement. The facts of that night: after previously insulting Rodrigo (South American and punk style) by saying “sudaka de mierda, go to your country”, Victor Laínez followed Rodrigo, and when he left the bar, took a knife and tried to stab him in the back. Fortunately Rodrigo was warned by one of the witnesses, he turned around and to repel the attack, struck Victor Lainez then left the premises. Thanks to this legitimate exercise of self-defence Rodrigo is still alive, about which we are happy, since in other occasions we can not say the same. We must bear in mind the number of political assassinations carried out by extreme right-wingers in the Spanish state in the last 30 years, and the present rise of nationalist aggression. Fascism and anti-fascism are in conflict, and that’s nothing new in this state or elsewhere. The rise of the extreme right is a very palpable reality around the globe. The current political climate in the Spanish state could not be less favourable due to the nationalist conflict for the self-determination of Catalonia. With the complicity of the press, this case is being exploited by partisan and electoral interests which extol national pride and point to the squat movement and migrants in general, as enemies of society. On the other hand it is clear that there is a clear intention to take political advantage of what happened to put in doubt once again the version of the police assembly of the 4F, for which Rodrigo served 5 years in prison. We would like to thank everyone for their support and solidarity and reiterate that the fight for a more just society continues.